As promised, here I am with my second post sharing all the experiences of an adventurous trip that I had recently. Yes I am talking about my trip to Lonavala. A place which I visited and loved!! Once we reached our destination, we directly checked in to Della Resorts. From the entrance itself, I just loved everything about the place. We booked our room in Luxury Resorts, which was quite beautiful. Here’s a picture around which Luxury resorts were there. However, No matter what you book, the view outside will always fresh up your mind. Another thing that I enjoyed out there was, clicking photographs 😛 . There are lots of beautiful views that you can capture. Well the next morning was very refreshing. A simple morning walk in the lap of nature, bare foot on fresh green grass will make your day fully energetic. The breakfast was so tempting with all sort of yummilious dishes, served on the most beautiful fashion. The hospitality you receive will make your heart go happy!! 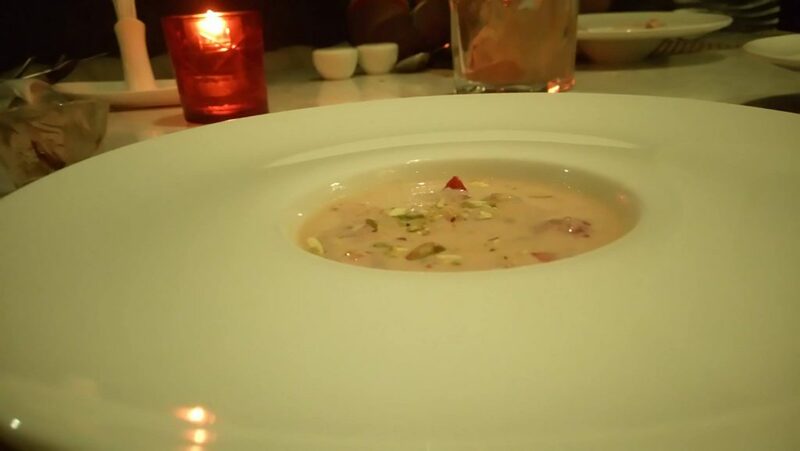 The most tempting sweet dish I ate was strawberry rabdi!! Let me share a pic of it 😉 mouth watering 😉 Isn’t it ??? It was time for some adventures 🙂 and being an adventurous girl, I had the courage to try on the most difficult and dangerous adventures that Della offered us. and many more 😛 Can’t remember the names now!! It was a great fun !! Now after enjoying the whole day in Della adventure park, we enjoyed the night view of resort and had a delicious dinner in a restaurant!! The restaurant is situated at a location where we can have great view of the pool. Apart from the resort, let me tell you something about Lonavala !! Well Lonavala is a beautiful hill station and is famous for its chikkis and jelly toffees. (Yeah I love them 😉 ). You can also try visiting Lion’s point, Pavana Lake, Lohagad fort and Ekvira Devi Temple. Since I was on a 2 day trip to Lonavala, I had enough time to visit Adlabs Imagica, which I can never forget !! Oh boy, it was one hell of an experience. So if you are visiting lonavala too, I will recommend you to visit this place. Its located nearby Khopoli is very famous for its rides. Entering into the gate will make you feel wow since the decoration is really beautiful and you start seeing various rides that awaits at your footstep. My first ride was the most craziest !! Yeah I am talking about the Roller coaster ride. 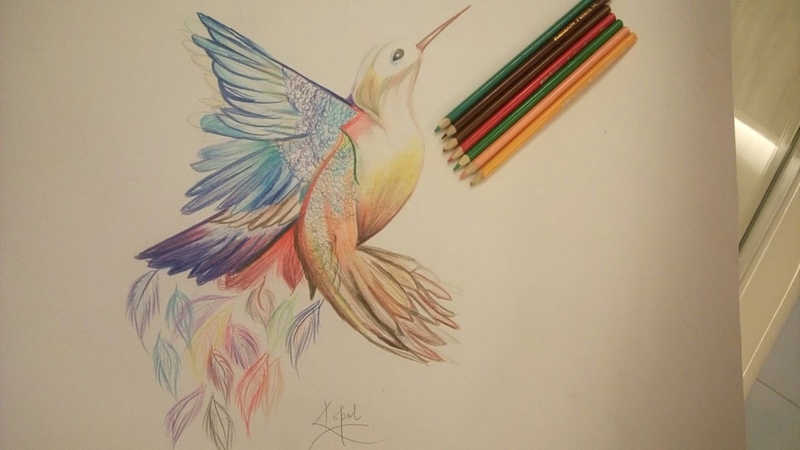 I was quite afriad to see it, but I had this craze to go into it and that’s what I did. My heartbeats raced so fast before the start, but once the ride started it was so amazing !! Ahh feels so great recalling that ride. 🙂 And guess what, once I was done with it !! I wanted to go again into the same roller coaster, such was the fun I had. 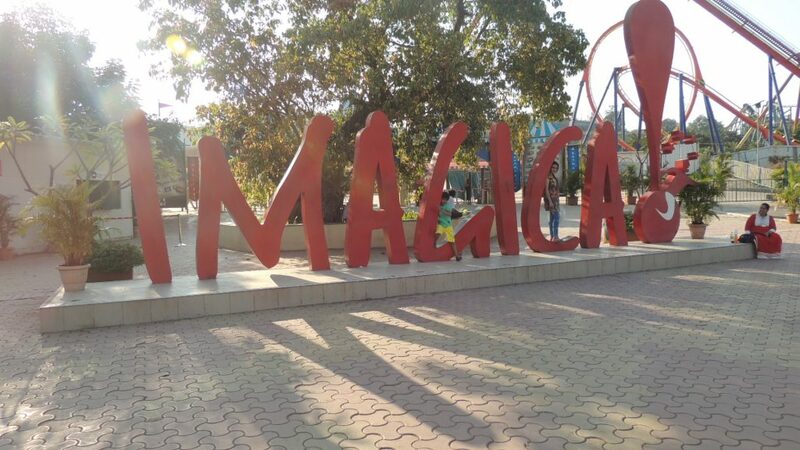 If you are planning a visit to imagica, mark a Roller Coaster ride on top of your checklist !! Beleive me, you will have a really cool experience. Next was the scream machine !! The name says it all 😛 It was again a ride I loved a lot. The view you get inside the scream machine is so beautiful, with you revolving and moving upto 180 degree, you can see all the beauty of Imagica in a really cool fashion. And then, I was shot up to the sky 😛 !! Just joking, I am talking about my next ride which was Dare2Drop !! This one was a difficult one for me, it shoots you to the sky so fast that you seriosuly get all those odd feelings, but after few seconds of it, you will really enjoy it. Another roller coaster was the gold rush but was not that scary!! A movie was also shown there covering the dome showing the sky and the stars. That was my experience at Imagica 😉 !! Have a look at some images I captured. Well the pics must really bring up some craze inside you about visiting this place. This is the entrance of the imagica!! Full of excitement!! Whoooaaaaaaaaa!!!! Again a beautiful from inside.. I really loved the view!! I did enjoyed every ride in imagica and didn’t left a single one!! It took me around full day to enjoy all the rides and didn’t went to water park because was enjoying the theme park all day long, from around 11 a.m. to 6 p.m.
After having loads of fun at lonavala, we next got back to Mumbai !! We had a full day in hand before our departure from Mumbai to Bhopal. So the Film city of India, Bombay!! <3 In Bombay you can start your day from Siddhi Vinayak Ganesha Temple and end up shopping at the streets!! Some antique things in the hotel!! Some views from the hotel!! So how was it ?? For me it was an adventurous trip with lots of fun and experiences. I will surely visit this place again !! writing this post just made me relive the moement and I am now eager to visit Lonavala once again. Imagica or Della? If you have to pick one, which one would you pick?